A third performance by Sting of songs from his latest album is taking place at Sage Gateshead due to "phenomenal demand". Kate Fox: Isn't it time we launched the Shipyard Chic into the sunset? 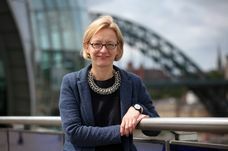 The Sage Gateshead celebrates its 10th birthday: what does it mean for the North East?